Sakhawat Hossain directed film Nodir Buke Chand has resumed shooting. The film started shooting in 2015 but due to troubles in schedules, shooting was stopped.Now every things are ok and shooting is going on in full swing. Film Nadir Buke Chand is a romantic film. 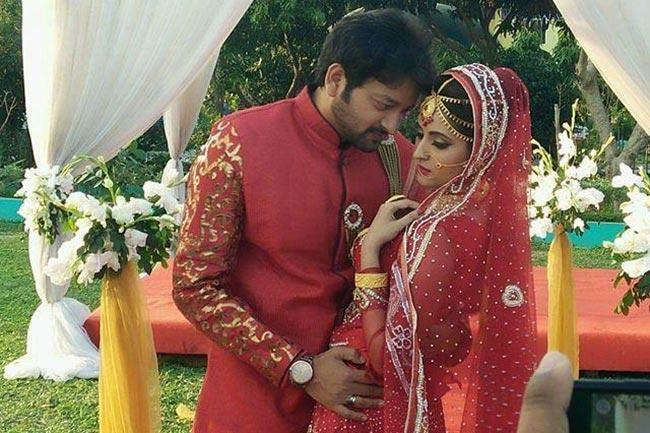 Symon and Pori Moni are in leading roles of the film. Pori Moni is Nodi and Symon is Chand in film Nodir Buke Chand. Film Nodir Buke Chand is the third film of Symon and Pori Moni pair.